Haven't told you about this yet so I'm going to do this today. See these boys from T.O.P.? They're having a concert later at the Music Museum. I think they only have a few tickets left and can be bought at the venue. It starts 8pm so if you don't have anything to do today maybe it's a good time to enjoy songs from the group. 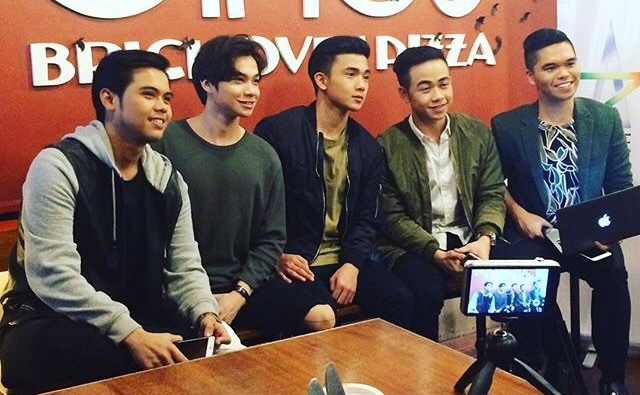 We also have interviewed them before they won the PMPC Best Group award. My favorite T.O.P. member is still Louie, and I like his swagger. Two of them are still studying so just imagine how hard it must have been for them to do a concert like this. Then here's one of my favorite parts, where Aicelle Santos did a number!